Pros: A hysterical analysis of modern day romance performed by a stellar cast. Cons: The venue is surrounded by construction work so not as easy to find as you would think. Make sure to add on an extra ten minutes to your journey to avoid lateness. As the great Tina Turner says ‘What’s Love Got To Do With It?” and if this fantastic show is to be believed she’s bang on the money. Love is hard, love is complex and love is confusing and there’s no better show to demonstrate this than the incredible I Love You, You’re Perfect, Now Change. This fun and fast paced show is a must see. The strong cast of just four actors took us on a whirlwind of emotions from over 20 different characters. Act One tackles the highs and lows of first love and first dates and then Act Two, much like Sondheim’s Into The Woods, is the stark reality of happily ever after. The original was the second longest-running Off-Broadway musical of the Nineties so prepare for loads of Nineties references – we’ve got uptight yuppies too busy for love, the nervous nerds who met on AOL chat, the morning after awkwardness or the married couple just wanting some peace (or nookie!). This show really does cover all the bases. Literally. An ensemble the cast, superbly directed by Drew Barker, worked with streamlined precision and all the vocals were strong. I did feel however that newcomer, Nic Kyle (aka. Man Two) stole the show, as his deep tenor voice was sublime. His characterisations, with subtle nuances, had me smirking for hours. I genuinely think this guy is someone to watch out for. David Ribi (aka. Man One) also held his own on stage and had some wonderful and often touching moments. 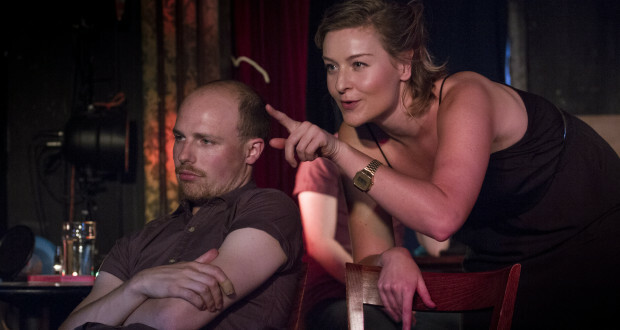 His ‘A Stud and a Babe’ and a hilarious incident with lasagne, both with the gorgeous Sarah Goggin (aka. Woman One) were brilliant. Sarah’s perfectly comically timed ‘The Very First Video Of Rose Ritz’ had us all in stitches but through her powerful performance we were also reminded as to just how fragile and broken love can make us. Chloe Taylor (aka. Woman Two) had some of the best facial expressions I’ve seen in a while and her ‘Always A Bridesmaid’ was pure comedy gold. I was humming ‘For my mate Delores, my gown was velourish, it made me look kind of whorish’ all the way home and grinning from ear to ear. The cast were in good hands with the laugh out loud lyrics by Joe DiPietro, the fun original music by Jimmy Roberts and superb musical direction by Ben Holder. 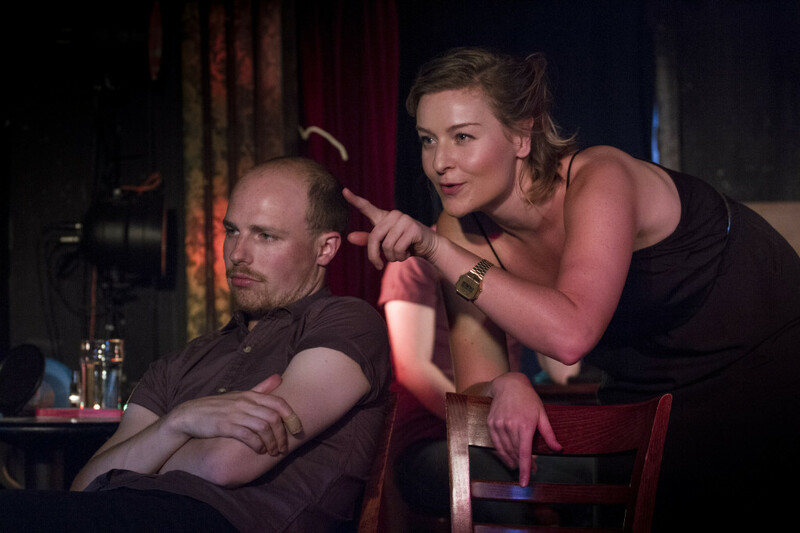 I Love You, You’re Perfect, Now Change is on for a limited run at one of London’s hidden theatre gems The Battersea Barge, so make sure to get a ticket if you can. Be warned however that the walk to the venue is a lot longer than you may think and it’s now hidden amongst the new Nine Elms rejuvenation project. That ice-cold cider on the deck overlooking the Thames will be worth the trek, I promise. This show touched me in so many ways and, as I’m about to celebrate my first wedding anniversary, I recognised my relationship in so many of the songs as I’m sure you will as well. When I got home all I wanted to do was give my husband a massive hug and say I Love You, You’re Perfect – Now Change the bloody sheets! Booking Until: Thursday 17 July.